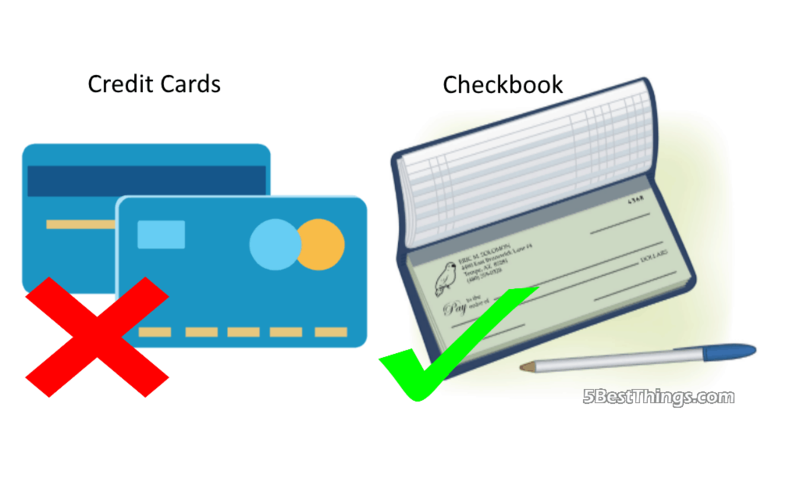 When it comes to how you pay your expenses and also how you carry your money around, checkbooks have some valid advantages over the more popular credit cards. They’re not that obvious at first glance so many people don’t even stop to consider the possibility of owning a checkbook. In this day and age, owning a checkbook is seen as old fashioned and not very practical but in truth it could be quite practical. Let’s see exactly what that means by looking into some advantages that come with using a checkbook. Indeed, once you stop to think about it, it’s a lot safer to use checks instead of credit cards. Cards can be stolen and in this case the people responsible have all the info they need to start using the card. The security code is on the back while the card number is on the front. With checks, it’s not that easy because they can’t really cash in an unsigned check. Stealing someone’s checkbook and writing a figure on the blank piece of paper is just wishful thinking. This is not really a practical perk, but it’s definitely something that can help you out. If you’re trying to make a good impression, pulling out things that appear to be classy and denote professionalism are always good. Checkbooks can be kept in a classy checkbook holder like the ones on ibricraft.com and when you pull it out it definitely looks impressive. Have you ever been in a position where you needed some cash ASAP but the nearest ATM was miles away? That wouldn’t be something to worry about if you used a checkbook because you can use the nearest established business to cash in a check. If you’re in need of cash, you can write it to yourself and cash it based on an ID card, so there’s a lot of hassle and walking around that can be avoided. With online transactions, there are always risks of taxes being deducted in the aftermath of purchases or payments, but with checks you decide precisely, literally to the decimal how much money leaves your account. This offers you the possibility of keeping a clean account with no transactions or deductions that you’re not aware of. This is possible thanks to the check ledger which is easily carried with the checkbook. When you write everything down, you can much more easily stay on top of the situation and monitor all of your transactions. When you pay online, it’s a lot harder to remember or keep track of every single payment, tax or transaction that takes place. This also helps you tremendously with staying on top of your finances.